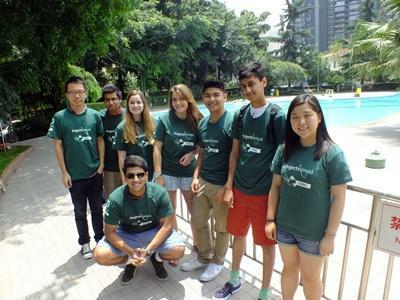 Projects Abroad is based in Shanghai and volunteers will need to fly into Pudong International airport. All volunteers are met by a Projects Abroad member of staff and are taken by taxi to their accommodation. Our office in Shanghai is in Pudong, a business district East of the Huang Pu River (a part of the Yangtze Kiang). This area has grown up on marshland in the last ten years and is currently seeing the arrival of many new foreign firms, as well as shopping malls and restaurants. The area west of the River is called 'Puxi' and is where most of the markets, shops, and bars are located. Later in the day you will be given a tour of the local area by a member of staff to help you get your bearings. In addition to a view of the main landmarks, we will also show you the post office, banks, pharmacies, internet cafes, and other useful services. Our Welcome Pack provides information about Shanghai and includes comprehensive maps of the cities, as well as the telephone numbers of other volunteers in your area. You'll also have the chance to have lunch and maybe meet up with some other volunteers. Volunteers in Shanghai will be shown how to get to their nearest subway station, which is normally a 10 minute walk from the accommodation. If you are volunteering on a Standard Project, all necessary work-related transportation costs will be covered by Projects Abroad. You'll also find out where the best shops are and even where to find the most popular nightspots! The following day, you’ll be taken to your placement to receive a formal introduction with your project supervisor. 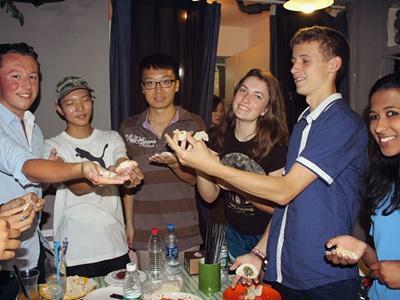 Volunteers in China live in rented apartments, usually sharing the apartment with two to four other volunteers. The apartments are heated, air-conditioned, and of a good standard, with washing facilities and basic cooking facilities. We provide all volunteers with a food allowance and will recommend local restaurants to volunteers on their first day. The quality of food in China is excellent - meals are a real focal point of the day.